A father killed his 2-year-old daughter and the child's mother after he was ordered to pay $600 in monthly child support. The defendant's lawyer compared him to Kunta Kinte, drawing gasps in court, and argued he confessed under duress. Prince George's County has more domestic violence deaths than any county in Maryland, one organization's data says. 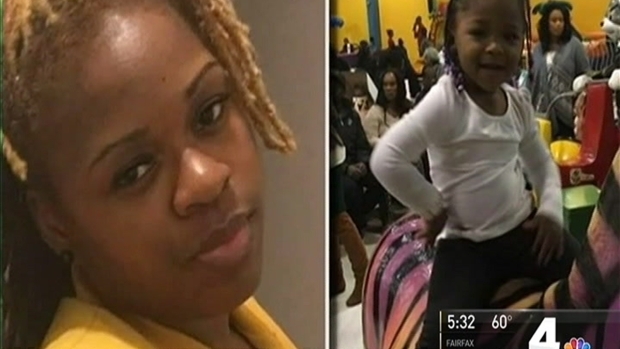 NeShante Davis was strapping her 2-year-old daughter Chloe into her car seat on a cold February morning when she was shot in the back. Then, the gunman shot the little girl twice in the head. The shooter was the toddler's father, a jury determined Tuesday. Daron Boswell-Johnson was convicted on all counts in the Feb. 2, 2016 murder of Davis and Chloe Davis-Green in Fort Washington, Maryland. He faces a maximum sentence of life without parole. After a seven-day trial, the jury deliberated for about two hours and found Boswell-Johnson guilty of first-degree murder and weapons charges. Jury deliberations in the domestic murder trial of Daron Boswell-Johnson began Tuesday evening. The defense argued his confession to the murder of his 2-year-old daughter and the child's mother was made under duress after more than 10 hours of questioning. Prosecutors said he gave police information on the crime that only he would know. News4's Tracee Wilkins reports. Boswell-Johnson confessed to the crime, hours of police interrogation video showed. Then 25, he said he waited outside Davis’ home, confronted her over the $600 monthly child support he recently had been ordered to pay and shot her and the toddler. Davis was 26. Her daughter never got to celebrate her third birthday. Detectives who interviewed Boswell-Johnson testified he led police on the route he took to the crime scene and drew a map to where he said he dumped the gun. Police never found it. Boswell-Johnson’s lawyer, Antoini Jones, worked to sow doubt in jurors’ minds. He said Tuesday that Boswell-Johnson made his statement to police under "psychological pressure" after he was questioned for more than 10 hours. Jones compared the defendant to Kunta Kinte in the television miniseries "Roots." Like Kinte finally said his name was Toby as he was being beaten, Boswell-Johnson finally said he committed the crime as detectives questioned him, Jones said. The comparison drew gasps. Also, Jones challenged a detective about how police verified the alibi of another man they initially questioned, and asked why the detective never reviewed Davis’ phone records. Thirteen of the 16 jurors plus alternates were women. The man accused of killing his 2-year-old daughter and her mother because he allegedly was upset about $600 monthly child support payments has begun. News4's Derrick Ward reports. The high-profile domestic murder trial was prosecuted by Joseph Ruddy and Prince George’s County State’s Attorney Angela Alsobrooks, who is running for county executive and has spoken movingly about getting justice for domestic violence victims and their family members. There were more domestic violence deaths in Prince George's County in the past five years than in any other county in the state, according to data from the Maryland Network Against Domestic Violence. Fifty-five people, including victims and their abusers, died in the county from July 2012 through June 2017, the data says. Davis, a second-grade teacher, was shot near her car on the 1300 block of Palmer Road. She was taking her daughter to day care before heading to work. Her cousin heard gunshots and then saw Davis lying facedown about 7 a.m. The 2-year-old was found with two gunshot wounds to the head. Her mom had just strapped her into her car seat. 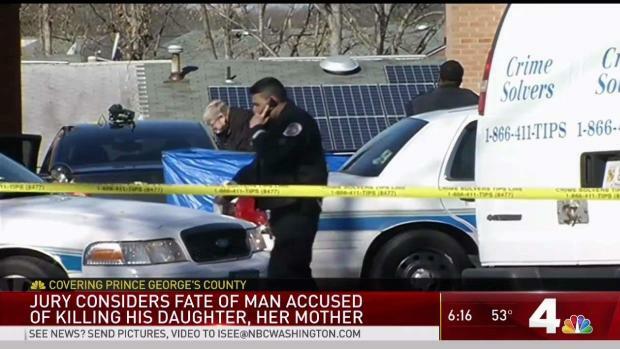 Initially, Boswell-Johnson told detectives he woke up about 7 a.m. at his family's apartment on Pennsylvania Avenue in District Heights and got to work at an auto glass shop in Gaithersburg about 8:15 a.m., video of the police interview shows. But surveillance cameras at his apartment complex showed his gray Ford Escape leaving about 5:55 a.m. -- when he said he had been sleeping -- and returning about 7:30 a.m., police and prosecutors say. His SUV had a distinctive "donut" spare tire on the front driver's side wheel, prosecutors showed. Then, Boswell-Johnson admitted that he went to Davis' home the morning of Feb. 2, the police video showed. He said he had never showed up there unannounced but that he had wanted to see his daughter before she went to day care that day. 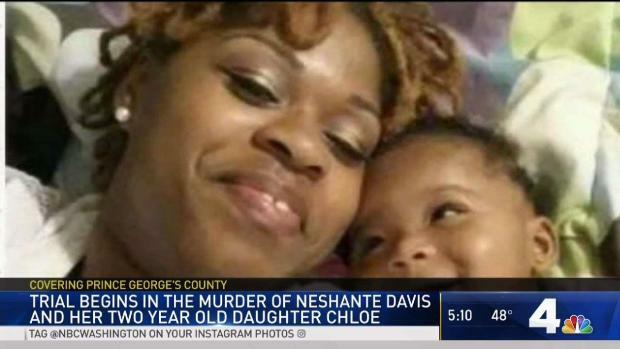 Murder victim NeShante Davis' mother, Carolyn Turner, learned from News4 that a suspect was arrested Tuesday in the killing of her daughter and grandchild. 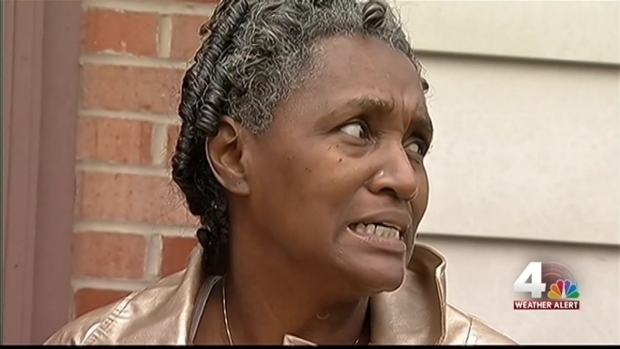 Davis was surprised to see Boswell-Johnson outside her apartment as she carried her daughter, he said on video. To complete silence in the courtroom, Boswell-Johnson then admitted in the taped interview with detectives that he went to Davis' apartment angry, with a gun in his waistband. "I want you to take the child support off," he recalled saying, with the gun now in his hand. 'Who Can Shoot a Child?' Teacher, Toddler Killed in Md. Davis kept walking, and he said he then opened fire. He said he didn't remember how many times he shot his daughter. At one point in the video, he appeared to say "yes" when a detective asked him if he shot the child accidentally. He was charged with two counts of murder and two counts of use of a firearm in a crime of violence. Jones argued that prosecutors did not have evidence beyond a reasonable doubt that Boswell-Jones committed the brutal crime. 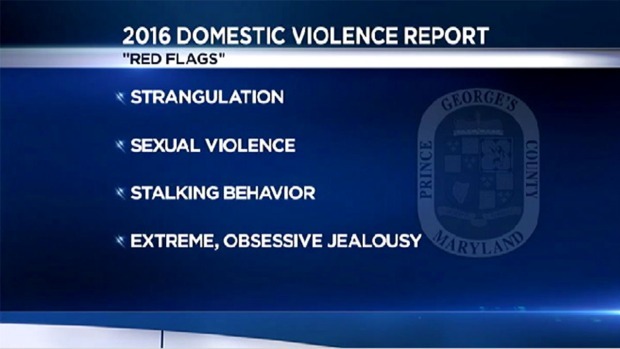 A Prince George's County review board Wednesday released a study of domestic violence and recommendations to stem the growing problem. News 4's Meagan Fitzgerald reports. "Rush to judgment. That's what the evidence will show in this case," he said in his opening statement. For hours of interrogation, Boswell-Johnson refused to say where the gun was, the video showed. Then, he agreed to draw a map. He said he dumped a .357 handgun in a plastic Walmart bag near an apartment complex in Shady Grove, close to where he worked. The gun was loaded, and additional bullets were in the bag, he said. As Boswell-Johnson described in the video where the gun could be found, he said something in a low voice: "I'm going to jail for life, man." After Boswell-Johnson drew a detective a map of where he said they could find the gun, he asked him to relay messages to three people: his mother, the mother of his two other children and his girlfriend. Prosecutors showed the jury an enlarged copy of the note he scribbled in the police interview room. "I know I failed you as a son, and I can just imagine how you're feeling," he wrote to his mother. "I am not the monster they are making me out to be," he wrote to the mother of his first two children. "I told the truth in everything." Prince George's County leaders and school officials unveil a mural honoring a teacher killed along with her daughter during a custody dispute. Pat Lawson Muse reports. To his girlfriend, he apologized. "Sorry you have to go through this," he wrote. "I know my life is over at this point." Then, he asked her to visit him in jail. The killings shook many communities in Maryland, from Capitol Heights, where Davis taught, to Bowie, where she studied education at Bowie State University. Davis was a valued teacher at Bradbury Heights Elementary School. She worked for years as a teacher's aide at the school, graduated from Bowie State and was in the middle of her first year of teaching when she was killed. "NeShante was going places," Alsobrooks said. Her little girl was "smart, articulate and sassy," she said. Boswell-Johnson could spend the rest of his life behind bars. Prosecutors and Davis' family are expected to speak publicly Wednesday morning.